Cardiff is one of the UK’s fastest growing digital cities. With Wales’s National Assembly actively involved in supporting Wales’s creative business sector and significant inward investment and infrastructure development, Cardiff is well on the way to becoming a real competitor to other creative industry hubs across the UK. Cardiff has been featured on lists of startup hotspots for several years, with startup loans giving increasing numbers of people the opportunity to get their business ideas off the ground. In Wales, startups have benefited from this initiative to the tune of more than £15m since 2012. In 2017, digital technology businesses in Cardiff turned over an impressive £641m. 90 digital technology businesses were founded in the city in 2016. As of 2017, the sector supports more than 21,000 individual jobs. As support for digital and creative businesses in the city is growing year on year, the report also highlights some of the individual investments that have transformed the startup landscape for the better. Tech Wales and Cyber Wales has connected businesses with public sector bodies and universities to find workable solutions to some of the industry’s major challenges. This initiative also seeks to promote the capability of Wales’s technology sector on both a national and an international level, establishing it as a genuine competitor on the global stage. Additionally, collaborative workspaces like Meanwhile House Cardiff are already supporting Cardiff’s creative and technology sectors. Across Wales, these valuable spaces are already supporting 247 businesses and more than 550 individuals. Although Wales’s 12,115 startups represented less than 3% of all new UK businesses in 2016, startup growth in Cardiff has increased by 64% between 2007 and 2017, well above the Welsh average of 22%. Importantly, between 2015 and 2016, Wales was home to 308 of the UK’s 3,890 startups emerging from the university sector. Just a 1% increase on this number each year will create 1,000 more new businesses and this potential for growth makes Wales an exciting place for new businesses to base their operations. With many leading universities in the area, developing a strategy to equip graduates with the tools to develop their own startup ideas will likely secure additional meaningful growth for the sector. Creative Cardiff is a network supporting and connecting people in creative industries across the city. It’s founder members are Wales Millennium Centre, BBC Cymru Wales and Cardiff Council and the project is supported by Cardiff University’s Creative Economy team. The organisation’s 2016 study into Cardiff’s creative economy found that most creative businesses were clustered around five wards around the city centre and Cardiff Bay. The arts and craft scene is thriving in Wales, with the Wales Maker’s Guild based in Cardiff Bay running a number of events, exhibitions and workshops throughout the city. 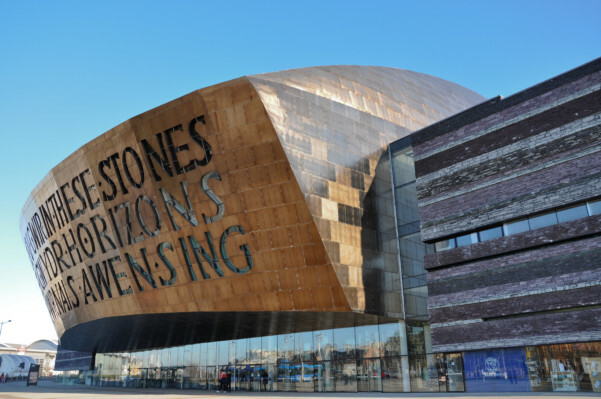 Being the capital of Wales, Cardiff is also home to national creative and arts related organisations and support networks, such as the Arts Council of Wales, which offers funding schemes to new and established artists and arts organisations. Analysis of the UK tech investment landscape conducted by Pitchbook in 2017 revealed that 92 companies based in Wales had secured more than £114m of venture capital investment since 2012. Venture capitalists typically focus their attention on more established propositions so although their investment has certainly increased the tech and digital ecosystems in Wales, the need to also support new and emerging businesses has not gone unnoticed. To level the playing field, a £20m Technology Seed Fund has been launched, with the Welsh Government providing an additional £233m to provide businesses with the support they need to survive and thrive. Cardiff has secured one of the top spots in the 2018 edition of Crucial Academy’s Cyber Security City Ranking, beating stiff competition from the cities of London, Manchester and Edinburgh to come third in the UK. This annual list analyses a variety of individual factors and aims to highlight the vital work that cybersecurity professionals do on a daily basis across a wide range of industries and sectors. There is a growing cyber security skills gap across the UK and Cardiff is at the forefront of the push for more professionals by attracting a large proportion of the sector’s top talent. Analysis from the ISACA reveals that there will be a two million strong shortage of cybersecurity professionals across the globe by 2019 and, as former MI5 spy Tom Marcus has stated, cybersecurity is one of the most significant challenges facing UK businesses today. The Wales Startup Awards have illustrated that there are an array of innovative businesses being created by talented individuals and teams that are making a genuine difference to both local communities and the wider economy. Proving that the provision of investment and opportunities creates an environment in which startups can both survive and thrive, Cardiff is primed to become a hub for developing businesses that will match and possibly surpass startup growth across other established startup cities in the UK.